This post has been updated as of March 2018. GST i.e. Goods and Services Tax is expected to come into effect in India from 1 July 2017. GST is a uniform, indirect tax throughout India to replace various taxes levied on sale, transfer, purchase, barter, lease, and/or import of goods and services by the central and state governments. While there is still a lot of information to be officially announced, some clarity on a number of laws indicate that GST will also have a considerable impact on bloggers and other affiliate marketers in India. Under GST, bloggers and affiliate marketers fall under the online information and database access or retrieval services (OIDARS) i.e. those who provide electronic services like advertising on internet, cloud services, digital data storage, digital content (movies, e-books, music, shows), online gaming, data or information retrievable in electronic form, etc. 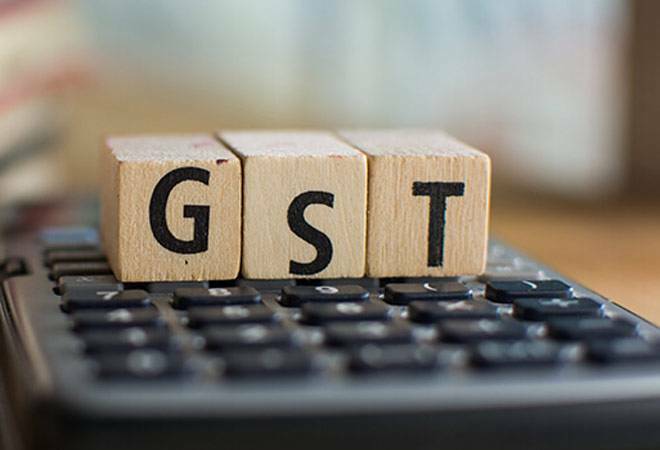 Earlier, when GST had just been announced, bloggers and affiliate marketers, supplying services outside of their state, were liable to register for GST even though they are not earning Rs 20 lakhs or more annually from your blog or affiliate website. [Supplying services outside your state means the blog is being visited and read by people outside of your state and if your blog is making commission from outside of your state.] Now they are exempted from GST registration if their earnings are less than Rs 20 lakhs. According to the third point, bloggers living outside India but supplying services in India to unregistered parties are liable to get GST registration if their annual turnover exceeds Rs 20 lakhs. But if you are supplying services from outside India to a registered party in India then the liability of paying GST falls on the recipient of services, not you. What is the GST rate for bloggers? Bloggers fall under the 18% GST rate. What if a liable individual does not register for GST or commits a fraud? In case, someone evades GST registration or does not pay tax or makes short payments, they will be charged with a penalty of 10% of the tax amount due or a minimum of Rs 10,000. In case, someone commits fraud while filing GST, they will be charged with a penalty of 100% of the tax amount evaded/short deducted etc. or a minimum of Rs 10,000. The offender will also be charged with a prison term if the tax amount evaded exceeds Rs 100 lakhs. The penalty for late filing of GST is Rs 100/ day for each CGST and SGST plus interest at 18% per year. There is no penalty for late filing of IGST. How will blogging services delivered outside India be handled under GST? Income from export of services is exempt from GST. However, GST registration is still compulsory just the way filing Income Tax Returns is compulsory even though you don’t fall in the tax bracket. In this case, you have to furnish a bond or Letter of Undertaking stating that it is export of services and you have to file GST returns for 0% GST. For an affiliate marketer, the export income comes through PayPal or wire transfer, then you don’t have to collect GST. even AdSense income falls under export of services. Maintain all the records of your business because the authorities can ask you for the details, anytime. You have to apply for the refund through Form RFD 01 within 2 years from relevant date and it has to be certified by a CA. Which online professions are liable for GST? Freelancers- Freelance writers, developers, designers, digital marketers who earn more than 20 lakh per year. Affiliate Marketers- Website owners earning affiliate commission (more than Rs 20 lakhs/ year) through various affiliate networks or programs like Amazon, Flipkart etc. Small businesses can run their business on their own name or as a proprietorship firm. If you have a valid PAN card, you can register yourself with GST on your own name. In that case, while registeration your business name will be your own name. The application process is quite simple; you just have to fill in your personal details and follow the steps. In Legal Name of Business, you can enter your own name if you are running a Propietor business. Once your application is filled, you. Keep soft copies of documents needed for the application ready to be uploaded. You can know what documents you require here. Just enter Constitution of Business (i.e. proprietor, partnership etc.) and Nature of Possession of Premises (i.e. own, rented, leased etc.) and you will get a list of documents needed. Submit the application within 15 days of filling it. When your application is approved, you will get your GST number. Many big companies like Facebook are asking for GST numbers from all freelancers. So, it is better to register for GST because you will be able to claim the benefits of input credit on the expenses you make for running your business. This means whatever GST you pay for buying goods and services for running your business will be returned to you as GST credits, which can be used to pay your GST when you file the returns. E.g. If you spend Rs 1000 on Facebook Ads and paid Rs 180 as GST to Facebook, then while filing GST returns, your net payable GST will be minus the GST you paid for Facebook services. However, to be able to claim input credit, you have to provide your GST number to all these companies so that it can be tracked online. Similarly, GST charged on your telephone connection, broadband connection, laptop, AC, office rent etc. can be claimed back while filing returns. So, while buying anything for your work ask the seller to include your GST number in the bill. GSTR 3B is to be filed monthly by all tax payers. The due date for it is 20th of the succeeding month. E.g. The GSTR 3B for February 2018 is to be filed by 20 March 2018. GSTR 1 is to be filed quarterly for all tax payers whose turnover is less than Rs 1.5 crore. It is to be filed before the end of the succeeding month. E.g. GSTR 1 for January 2018 to March 2018 is to filed by 30 April 2018. GSTR 1 is to be filed monthly for all tax payers, whose turnover is more than Rs 1.5 crore. The due date for it is 10th of the succeeding month. E.g. The GSTR 1 for February 2018 is to be filed by 10 March 2018. To stay up-to-date on developments in the blogging and affiliate marketing world and to know more about the impact of GST on blogging, you can bookmark this blog and/ or sign up with Cuelinks. If you have any queries, doubts or more information relating to GST, do share them with us in the comments section. Is there any effect on other taxes after GST. There are tons of other taxes right now. And if I earned 100$ By AdSense so thats means I have to give 18$ tax, right? You don’t need to pay GST on AdSense income. Was looking for such detailed info on bloggers tax slab. Finally found it here.Thanks, Cuelinks. 2) I am not earning single penny from my State or even any part of India. Do I still need to register for GST and file 3 nil returns per month and convert my affiliate marketing business to return filing business? But google adsense is sending payment from singapore office in foreign currency in india. Suppose I am a blogger having blog which is receiving adsense payment (any amount in dollars). So I have to apply for gst and pay taxes to government? If you are a blogger in India, writing content for India and getting payment from Google AdSense (Singapore) in Dollars, then you do not have to apply for GST because then you fall under ‘export of services’ and that is exempt from GST irrespective of how much you earn. What if the blogger is an individual and doesn’t Exceeds ceiling of 10 Lacs. A blogger is exempt from GST if his/her income does not exceed Rs 10 Lakh, but s/he is not exempt if the income is coming from outside his/her state. Hey. I’m a blogger, I used to write blogs so far and never found with more than 10lakhs annually. Im doing my work individually and there is no office or company for my blogging. Registration under GST is compulsory only if your annual income from the blog crosses Rs 20 lakhs. Goods providers (physical things seller) and service providers (software firms, consulting firms etc) will be charge GST and also they can recover that from customers but what about bloggers and affiliate marketers? Because here if we have to pat GST to Govt but will affiliate platforms(cuelinks, vcommission etc) and ad platforms(Google ad sense, infolinks, etc) will pay that amount to recover that? Ofcourse. If a registered business asks for your GST number, they are liable to comply with all the rules and regulations of GST. It is not at all hard to set up your own blog and start earning from it. You can refer this article (https://www.cuelinks.com/blog/how-to-set-up-a-blog-with-wordpress/) to set up your blog. Hi blogger I have a youtube channel which I recently connected to the adsense and I haven’t even broken the threshold barrier of google adsense earning…can you please clear is youtubers also have to register under gst?? As adsense choose the ads for the video and even for blogs…So how can this be possible to get info about the ads from the adsense..I think it should be exempt from gst because adsense runs it business from singapur?? Am I right?? Bloggers/publishers whose income source is AdSense and YouTube, are exempt from GST. 1. Will freelancers be liable for GST if they provide writing services (articles) to an overseas client whose website is read globally? 2. I write for overseas clients + I have websites which earn through Ad Sense and Affiliate. Will I be paying GST for both, or just one of them or neither of them? You have to pay GST on affiliate income if it crosses Rs 20 lakhs annually. In case of providing services outside India, GST registration is compulsory for Export of Services but the tax is 0%. Really, you are talking about a very important topic and providing useful information regarding GST and its impact on digital marketers. Every person should need to know about Impact of GST. Today, many firms are working on GST and developed mobile applications. GST helpline app is one of the best mobile application that provides latest news, articles, and discuss with CA experts which you can download directly from play store. Yes, we are using WordPress. To get started, you don’t really need any coding expertise, as you can see in this post, it is very easy to set up a blog with WordPress. Hi…will a blogger covered under export of services be allowed to get input tax refund. Very well explained article. Thanks for this post. Hi Thanks for this Blog. Can you please explain in short , how GST works for any Blogger , if he signs up for any Affiliate Marketing programs like Amazon of Different countries? I mean is it mandatory for him to register for GST registration? If Yes – What is he supposed to do with that GST number? I mean will he need to submit the same to Amazon in this case , if he is running affiliate program for Amazon’s products? If he has signed up for all Countries separately like UK, US, Germany etc., will he need to submit it to all of them separately? Who will deduct GST from whose earnings here? Will it be amazon deducting GST (%) from that Blogger (in whose country GST is applicable)? If amazon deducts GST , what that Blogger needs to do with that deduction? I mean If he is resident of India, and Amazon US deducts GST , will that blogger have to show that deduction ? How many times do you file GST returns in a year ? GST registration is compulsory in case of export of services (read the article to understand what is considered an export of service), although GST is 0% for export of services. A blogger/ affiliate marketer has to produce a bond or letter of undertaking while filing GST returns. Currently, you are supposed to file GST returns every quarter. You need to consult a CA to understand it better. Hi if somebody is ready to pay income tax on hig blog earnings then what difference a GST will make? What a blogger is supposed to do after getting GST registration? What will he file in Sales Returns ? What will he file in Purchase Returns ? What will he mention as a business name, if he does not own a company ? Will it be mandatory to get GST registration for a new Blogger, who has not started blogging full-fledged and not even started earning anything yet? How difficult is to file GST thrice every month ? Will he need to hire CA ? What if one fails to file GST returns in a particular month due to some issues ? Is there any way to work as a blogger without GST registration? , if a blogger is ready to disclose all his income at the end of every financial year? Is there any easy and simple GSTR software for fresh bloggers in order to avoid pain of paying CA’s ? Income tax and GST are independent of each other, they are to be filed separately. The official site of GST https://www.gst.gov.in/help/helpmodules/ has a set of explainer videos to help you learn how to file GST returns, make payments, apply for refunds etc. If the blog income is less than Rs 20 lakh, the blogger does not need a GST registration. You can use the Cleartax GST software It gives a 30 day free trial, but charges Rs 5000/year after that. Does that means if someone earns less than 20 Lakhs from Amazon, Flipkart and Cuelinks, even then one needs to register for GST? Unfortunately yes! The law requires any person providing inter-state services to be registered under GST irrespective of the turnover. This is a nice article. There is so much you have mentioned where so much can be learned. Thanks for the information!!! Are there any specific things which need to be kept in mind for GST for Online information and database access or retrieval services (OIDARS)? We need to register for GST for adsense income as it was also exempt in service tax previously..
And their is trivial income from it unless and until we are very famous. The law requires services pertaining online advertising space to obtain GST. However, we would advise you to explain your case to a Chartered Accountant and obtain professional advise based on the facts of your case. Invoicing now involves including HSN codes. Any idea what the HSN code for services provided by bloggers will be? If my blog is solely earning revenue from Adsense, wouldn’t Adsense be responsible for deducting tax at source (GST) from my earnings and then pay the net amount to me? Google provides Adsense services from outside India and hence they do not have a GST. Hence, you would have to pay GST under reverse charge mechanism. You can get in touch with a Chartered Accountant who would be able to give you the best advice. If I earn from india and outside india then I have to pay on indian service only. That means I have to pay only 18% of my Indian visitors. Is it ? If I pay 18% gst then if I earns more than 20 lakhs then 18% + 30% total tax = 48% tax I give to Indian govt. In the normal dealer they provide a extra value for their customer. But a blogger can not. They earn from adsense or affiliate. They can’t take extra value fro their customer. How govt deduct gst from blogger ? We have no purchase, no sale and no service. we can’t tell a visitor to click ad. That means we can’t sell the service. We are the salesman. Govt should take gst from google company. Because they sell ad in website and take commission. why we pay 48% tax ? what is this ? Government should clear this topic. Hamare paiso ko luta ja raha hai. Hey.. If you have a GST number and you are raising invoices for your earnings, you dont actually pay GST but collect GST and deposit it with the Government. The advantage here is that if you are paying GST on your spends (i.e. cases where other people raise invoice on you with GST), you can claim the GST credit and deposit only the Net amount with the Government. That ways the 18% tax which you are paying does not go waste if you have a GST number. But yes, the compliance would increase a bit. A small time CA would be happy to help you with the filings or alternatively, you can opt for a software which are available in plenty. is gst number important to receive payment from cuelinks ? Do I need to register for GST if I sell photos through Stock Photography sites and people from other states purchase through those sites? How is the income from those sites taxable? And what if I start selling the same from my blog? Can you please help. Yes, you should need a GST number. The law requires GST registration for any person engaged in inter-state supply of goods and services even if the turnover does not exceed Rs. 20 lakhs. If you are selling your goods for 100, you charge 100 + 18 – 118 to your customer and deposit the 18 rs you have collected with the Government. The advantage here is that if you are paying GST on your spends (i.e. cases where other people raise invoice on you with GST), you can claim the GST credit and deposit only the Net amount with the Government. That ways the 18% tax which you are paying does not go waste if you have a GST number. But yes, the compliance would increase a bit. A small time CA would be happy to help you with the filings or alternatively, you can opt for a software which are available in plenty. We’re an online advertising company. We buy advertising web ad slot from publisher (vendors) outside India and sell it to our client outside of India. Example : We buy inventory from bbc.co.uk located in UK and sell to our client which BMW in Germany. This is scenario is any GST applicable? You can refer this document from the government to help us understand and answer my case. Hello, I am thinking to start blogging, do I need to register for GST now, or later. I heard that one need a trade licence, for applying GST…..Pls do suggest…am confused a bit….and also suggest, any good software plugin for GST in my future website/ blog. You need to register for GST only if your affiliate income crosses Rs 20 lakh in a year. why you removed gst no from your payments section? Thank you for reaching out to us. However, you need to contact [email protected] to get your queries answered. As per the Indian GST (Good and Services Tax) law, the services provided by an Indian developer outside India shall be considered as export of services (i.e. Zero rated supply, which means there will not be any GST on such services). Please note in order to claim this as zero (0) rated supply, the receipts should be received in Convertible foreign currency (i.e. Other than INR-India nation rupee). Currently google is paying the receipts in INR, due to this we have to remit the GST @18%, which has become an additional cost to us. Also the Commission (@30%) charged by Google shall be considered as expenses in our books, which means we have to do GST on RCM (Since it become import of services) and also we have to TDS. Im a domainer and all my earning is from USA via affiliate, i dont get a single penny from india. If you receive payment in convertible foreign exchange, then it will be treated as export of service under GST and as per IGST law, export of service is zero rated service, so you do not need GST registration. Thanks for the information, but can you give me the source from where you got this info.. This information is based on the research done by our Finance Team. Very informative article! I have a YouTube channel for 18 months but my total earnings so far is less than ₹10k . Do i need to get a gst number? And it will take another 8 months approx for my earnings to cross $100 . How should i pay my taxes? I come under 30% tax slab. You don’t need to get a GST number if your income is less than Rs 20 lakh per year. Every thing understood well … thanx . Just Explain how we as affiliate markets will raise Invoice , For example i have earning for 1 month Rs 50000 due. Now how i will make Invoice and how much amount. and when it is to be deposited ? The invoice amount should be be Amount of earnings + GST. The amount of GST i.e. 9000(in this eg.) is to be deposited within 20 days from the end of the month i.e. for the month of September, due date shall be 20th October. Thanks for this information. I have a food blog. I am going to join Amazon Affiliate program. My main traffic is from India. So do I need to register for GST? Yes you need to register. Thanks for this informative post. I am a freelance transcriptionist. All my customers are from US and UK. I receive the payments only through PayPal. I have no income (clients) from India. Do I need to obtain GST registration? Your reply in this regard is much appreciated. If all your income is from US and UK, and if you receive payment in convertible foreign exchange, then it will be treated as export of service under GST and as per IGST law, export of service is zero rated service, so you do not need GST registration. I am just started to do affilliate marketing with Flipkart and Amazon. My income is Zero for the last 2 months. Should I register for GST? If yes, Should I file those 3 returns for not earning a single penny? You need to register for GST only if your income crosses Rs 2 lakhs in a financial year. Hey great article. Sorry for being repetitive. What I understood by this article is that if I am making affiliate sales outside India, I don’t have to pay any tax. Is that correct or have I misunderstood anything? If you receive payment (i.e. commission for your affiliate sales) in convertible foreign exchange, then it will be treated as export of service under GST and as per IGST law, export of service is zero rated service, so you do not need GST registration. Yes, both will be considered as convertible foreign exchange. Hi Vandana, Thanks for the detailed info.But, as far as I have heard GST registration is mandatory even for export of services.Although, the export of services comes under zero rated supply but still you have to register for GST.Kindly check the same. Registration was earlier necessary as export was deemed to be inter state supply of service, however after the amendments announced recently registration is not compulsory if the annual turnover does not exceed 20 lakh. Informative Article! Do I have to pay tax on affiliate income as well?? Yes, if it is coming from India and crossing the threshold limmit of Rs 20 lakhs. I am investing say 100/- per month in google and Bing ads and 18% IGST is already deducted on them. The condition concerning inter-state transaction no longer applies. So even if you provide inter-state services, you do not have to register for GST unless your earnings cross Rs 20 lakhs per fiscal year. is gst number important to receive payment from cuelinks ? or is there any monthly/yearly threshold amount below whichGST will not be applicable. hey there.. what about income from youtube videos through adsense.. i have business account in youtube under which there are many channels.. i recieve my payment in dollars.. should i apply for gst? Your income falls under export of service. You need to register for GST, although it is 0% for exports, and while filing GST you have to submit a bond or Letter of Undertaking stating that it is export of services. You need to take guidance from a CA on this. Do I have to register under GST with our Personal Name and PAN or With the name of the Website we are running ? It’s totally up to you, you can register on personal name or website name. Found the posts very informative. 1) I am earning money from PTC, Survey and Online work like data entry, copy paste etc. Do I need to pay GST on my income? 2) If I already have a GST number (for other HSN/SAC codes), do I need to include this HSN in my existing number or do I need to apply for a new GST number? You need to register for GST only if your income is above Rs 20 lakhs annually. HSN Codes shall be automatically picked up from your registration details at the time of GST filing. You don’t need a new GST number. Is GST required If a person sells on creative market (USA) or graphicriver or themeforest or similar foreign sites and recieve affiliate and monthly royaltee income from foreign only? And if he/she earns all other affiliate and digital income from foreign countries only ? Is GST registration necessary ? If it is then how to raise invoice ? All payments are coming from PayPal ? As mentioned in the post: Under GST no tax will be payable for export of service. And in your case, I think you fall under export of services. At the same time there is a vast impact of GST on manufacturers and their distributions. I have a question. All my affiliate earning come from either clickbank or PayPal. It doesn’t come in dollars in my account. It is already converted by clickbank or PayPal and I receive it in rupees. So first, do I need to register for GST.Second, I don’t have company registered, so do I have to register with personal name as the business name. If your income is in Rs you need to register under GST only if your annual income crosses Rs 20 lakhs. You can get your company registered under personal name. I work as freelancer for a UK company and they pay me in dollars through PayPal. Do I need to register for GST as paypal account is asking for GST number to receive payment in indian account? Please advice. Your income falls under export of services so GST registration is compulsory, although it is 0% for exports, and while filing GST you have to submit a bond or Letter of Undertaking stating that it is export of services. You need to take guidance from a CA on this. I am a mobile app developer and my income is mainly from Google Admob. Customers from INDIA and other countries using my apps.Is it coming under export of service, does i need to register for GST ? Income from Google Admob falls under export of service. You need to register for GST, although it is 0% for exports, and while filing GST you have to submit a bond or Letter of Undertaking stating that it is export of services. You need to take guidance from a CA on this. What if am earning in dollars just by watching ads from an app. Do I need to register for GST ? Because if my income comes under income tax then I’ll have to file it every year. And if I’m giving income tax every year and then why GST also ? You need to register for GST only if your earnings cross Rs 20 lakhs per financial year. Income tax comes under direct tax while GST is an indirect tax, they are both separate, you have to treat them separately. I have some doubts. I have a blog where I review products. Some income is from companies like Walmart, Aweber etc. and some income is from Indian companies like Flipkart. – I had registered for a service tax number once but never used it. What do I do with that? What happens when an Indian customer buys a product from a foreign company via my affiliate link? The foreign company provides the service. Do I need to register and pay GST? Also, the government will collect GST from both the foreign company as well as me? For your last question, our Finance Team is of the opinion that GST will be applicable if the end buyer is from within India. However, you will have to get in touch with a CA to understand what applies to your business specifically. According to this article, if your total income is less than 20 lac, then you are exempt as a freelancer/blogger/affiliate marketer to register for and pay GST even in case of an inter-state rule. Please verify and also share the official link of the page where this is shared. I am unable to find it. Yes, you are right. I have updated the article. Very recently GOI has given relaxation to services providers from GST registration, even for interstate sales, if earning less than 20 lakhs. So now weather I earn from Indian eCom sites like snap deal, Flipkart etc. or from international affiliate marketing networks like jvzoo, clickbank GST registration is exempted if earning less than 20/10lakhs per year. Hence, GST registration is not mandatory if earning less than 20lakhs a year. What’s your take?? Yes, you are right. This has been confirmed by a CA as well. I have recently started affiliate marketing by Amazon, and i am earning only 1000 rupee per month or sometime less. So please tell me do i need a GST number and what amount should i pay for tax. You need to register for GST only if your earnings cross Rs 20 lakhs in a financial year. I have a question on GST. I am advertising my sites using adwords and google charging GST on this. Can I register GST and claim the amount paid for adwords for earnings less than 20 lakhs? Please clarify. If a person gets registered under GST, he has to charge GST in the invoices raised by him, thus there will be an outward liability, and only if there is outward liability , and input credit can be taken on the GST paid while depositing the GST with the government. Thus, if you register under GST, you will have to charge GST on any goods/ services that you buy for the business, only then you will be able to take credit on GST paid. You might have to consult with a CA if you want to understand this completely. I am a YouTuber and I live in Kerala, India. I earn more than 10 lakhs and less than 20 lakhs in a financial year. Do I need to pay tax?. I don’t have any other income. You need to register for GST only if your income goes beyond Rs 20 lakh in a year. One more question. Is Turnover meant for affiliate marketers. If Yes, So what should i consider for GST, earning (The commission i am getting form Amazon) over 20 lakhs or turnover more than 20 lakhs. You are welcome. GST is compulsory if your total income crosses Rs 20lakhs. So you have to consider the turnover. I am trying to start small website. how can i register for GST? my expected income is just 6 lakhs to 12 lakhs then i need to pay GST? how many times i need to pay in one year? while registering for GST they are asking for PAN which means, my personnel PAN or i need to get another PAN with the name my website? You don’t need to register for GST if your income is less than 20 lakhs. However, since some big companies like Facebook are asking for GST for running ads, you may have to register for GST sooner or later to be able to use their services. The GST charged by these companies for the services you buy can be claimed back as input credit, which will be adjusted in your net payable GST. However, if your income does not cross 20 lakh, you may not have to pay any GST but you will just have to file GST returns regularly. Just like Income Tax returns need to be filed by everyone even if they don’t fall under tax bracket. You can use your personal PAN for registering a small business. Go through the article once again, as it has been updated. In amazon,flipkart,facebook,google its compulsory to submit GST number to make any business transactions. If i registered for GST, but my icome is 5 lakh or 6 lakh then i need not pay GST ? any other taxes applicable ? Yes, you do not need to pay GST if your income is Rs 5 lakh or 6 lakh annually. i have a small website, present it is not generating any income. if i apply for cuelinks ads, then i need to submit GST number to cuelinks? Only if your income crosses Rs 20 lakh in a year… If not, then you don’t need to submit GST. Please provide your source of information regarding the above mentioned facts. This article is based on the research done by the Cuelinks’ Finance Team. If already registered for GST , but your affiliate income is less then 20 lacs. You have the option to cancel your GST registration if you have a valid reason (like closing of business, exempt from GST etc.) and the supporting documents for it. Although, if sooner or later you are going to fall under GST it’s wise to keep your GST registration and file returns regularly, because some big companies like Facebook are asking for GST number from everyone. Also, if you have a GST number and you use services of Facebook for your business, you will get to claim the GST paid as input credit. Please read the article again because it has been updated. in fact good, all be capable of easily know it, Thanks a lot. On 17/12/2017, I boosted a video on Facebook related to my niche . On 20/12/2017 Facebook send me a email. (You may be aware the India Central Board of Excise and Customs (India Tax Authority) is introducing a new Goods and Services Tax (GST) system. Under the new regulations, businesses based in India are required to register for GST and have a GST registration number starting July 1st, 2017. Please update your India-based business’s Facebook ad account settings with the GST registration number before you continue advertising on Facebook. Your ongoing campaigns may be interrupted if you do not add your business’s GST registration number. In my case I am trying to start up with affiliate marketing and the programme that I have chosen is known as CLICKBANK. I am buying ads from various channels and then I am advertising the products on those channels .so, who will generate a invoice or bills, for whose name? and also who is required to collect tax from whom ?, I am a buyer of ads not a seller of those ads .even as the government is saying, you can not do business (online or offline) without paying goods and services tax. then In which format,form or category do I have to register myself . what is the registration category/ format of affiliate marketers, internet marketers, Facebook advertisers, Twitter advertisers, LinkedIn advertisers and all such people involved in online marketing and activities. I consulted CA, but I became more confused by his explanation, I don’t understand what he explained to me. what documents do i need for GST registration ? do i have to fill my income tax return along with GST? Small businesses can run their business on their name or as a proprietorship firm. If you have a valid PAN card, you can register yourself with GST on your own name. In that case, while registeration your business name will be your own name. The documents you need to submit are provided on the official GST website https://www.gst.gov.in/docadvisor/ just enter Constitution of Business (i.e. proprietor, partnership etc.) and Nature of Possession of Premises (i.e. own, rented, leased etc.) and you will be given a list of documents. Income Tax Return and GST return are independent of each other. Don’t confuse them together. You have to file both separately. It is always advisable to maintain monthly invoices and bills. For income under Rs 20 lakh, your GST will be 0%. You may not have to pay any tax. It’s like Income Tax Returns filing, which is compulsory even if you don’t fall under tax bracket. Please get in touch with a better CA in case you have more queries. You can also get some answers from Cleartax and there are explainer videos available for everything on the official website of GST, too. As per new rule, if some one earn less than 20 lakhs per year, there is no need to registration for gst. Is this right? Where can I see the official information about this in case of export of service. Second, can I cancel the gst registration if my income less than 20 lacks? Yes, you can cancel GST registration provided you have a valid reason and required documents. Looking for GST return filing service to avoid cancellation of GST number an account of Non-compliance? our team of GST practitioners will assist you in getting your returns filed in time and will take care of your GST compliance burden. I have read your blog and all of your comments. But it is confusing for admob revenue received from Google. If my income is from admob which is less than 20 lakhs per year, should I register for GST and file 0% GST? Should I get a letter of undertaking as well? Since AdMob payments are made by Google Ireland, revenue earned through AdMob is considered as an export of service, which is exempted from GST. So you need not pay GST on AdMob income. However, if you use in-app purchases, you need to register for GST and pay tax for the earnings generated through in-app purchases made by your Indian users. E.g. If your total revenue generated through in-app purchases across the world is $100, of which $10 was generated through Indian users, then you have to pay GST for that $10. I have one question. If we earn some commission through Cuelinks and GST is applied in Invoice Raised. Will i have to pay the GST to government or Cuelinks will pay that GST to Government. When the invoice is raised on Cuelinks with GST, liability to pay GST is on the publisher. The person who collects GST is liable to pay to government. Its 20lakh credit or 20lakh earning? As well google is charging me 18% GST on every service. Is there any way to take the benefit from them. I am selling services outside of India but i have to buy services from Google and Facebook. Yes, as mentioned in the article, if you have a GST number and you use services for your business that charge GST, you will get to claim the GST paid as input credit. This point has been explained in the article under the heading ‘GST registration’. How do I get an LUT. Can I get it online in the gst portal. Yes, you can get an LUT online in the GST portal. You have to log in to your account. I am a website/app developer. My income is more than 20 lakhs per year. But all my money comes as Foreign Inward Remittance and I also get FIRC’s from HDFC bank for each transaction. I guess, I need to register for GST. First Question is – Should I register on my own name or create a proprietorship firm ? Which option is better ? My second question is – Since 100% of my income is Foreign Inward Remittance but it crosses 20 lakhs per year, do I need to pay/file GST monthly or quaterly ? You can create a proprietorship firm using your own name. You have to file GST monthly and quarterly if your income is less than Rs 1.5 crore. You can also file a Letter of Undertaking beforehand so you don’t have to pay GST. I am a blogger and publish affiliate links of cuelinks amazon, flipkart etc. I also have youtube channel where I upload educational videos for the students of India and earning from adsense. GST registeration is mandatory for me or not ? Total earning 10 lac per annum. No, it is not mandatory for bloggers earning less than Rs 20 lakh per annum. I started a blog late last year. I have not yet signed up for any affiliate program or adsense. I am yet to monetize my blog. If I sign up for an affiliate program without giving my PAN and bank A/C numbers, can it make me liable to register under GST ?? Obviously I won’t receive any commission, I just want to use the affiliate links, banners, product pictures etc for the time being. You will be liable for GST only if your income crosses Rs 20 lakh in a year. Also, you will have to provide your bank account and PAN details on Cuelinks only when you want to withdraw your commission. Very valuable Post and informative answer on GST with respect to Affiliate Marketing. None of the Indian CAs will have this much knowledge.They confuse you more if you ask GST questions with respect to Blogging or Affiliate Services.Thanks for the time and effort. And what is the Tax rate on Export of Services more than 20Laks per Annum. No, you don’t need to file GST.